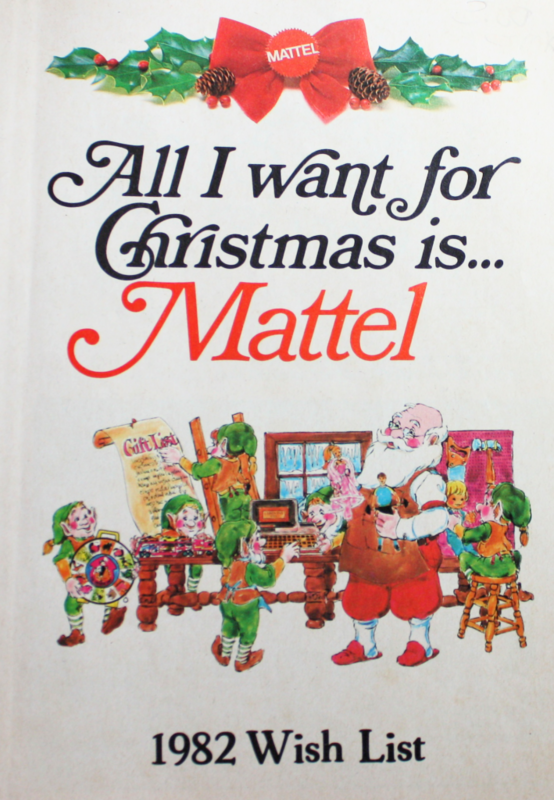 Mattel’s 1982 Wish List is a pamphlet-sized little advertisement for the latest and greatest Mattel had to offer at the time. 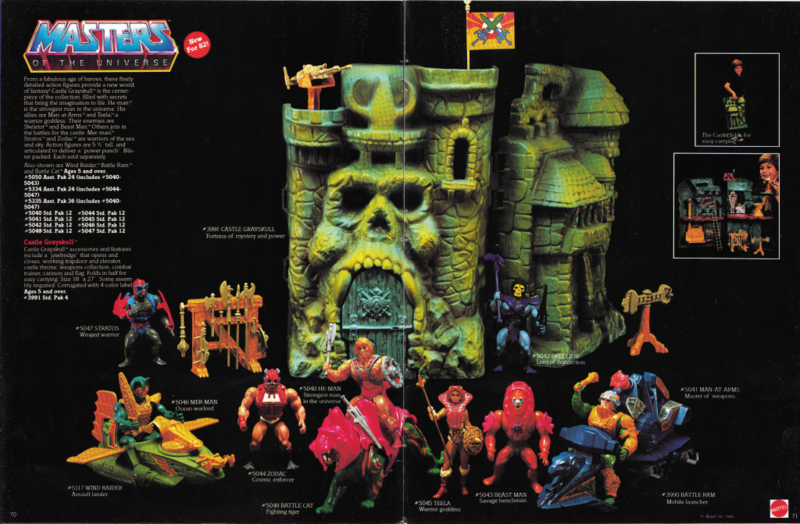 It was distributed as an insert in the November 16, 1982 issue of Family Circle magazine. 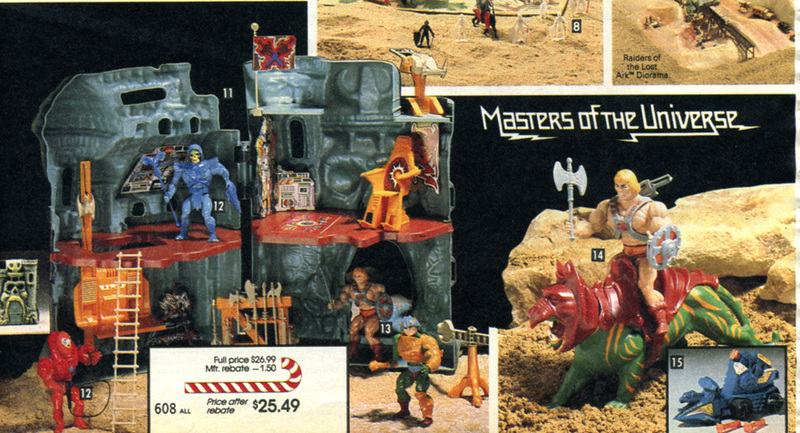 Barbie gets the most print space in the Wish List, but there is a page and a half devoted to the brand new (at the time) Masters of the Universe toyline. The photographer attempted to spice things up with some clear plastic rods, although I’m not really sure what they’re supposed to be in this context. 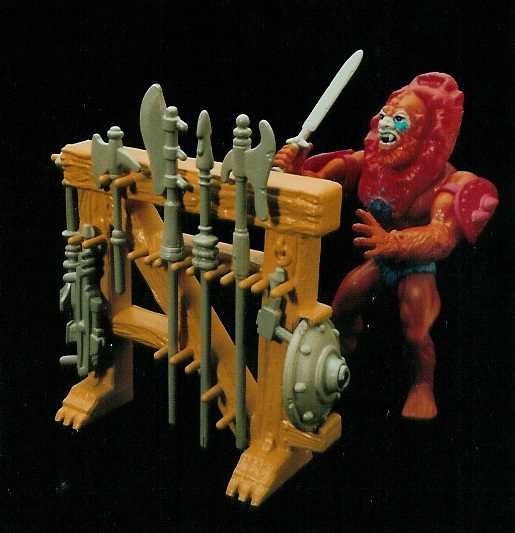 Quite often catalog photography can be a good source for images of prototype or at least hand-painted pre-production versions of these toys. In fact, you generally tell how early or late these images were taken by the number of prototypes in them. The more prototypes, the earlier the photo was taken. 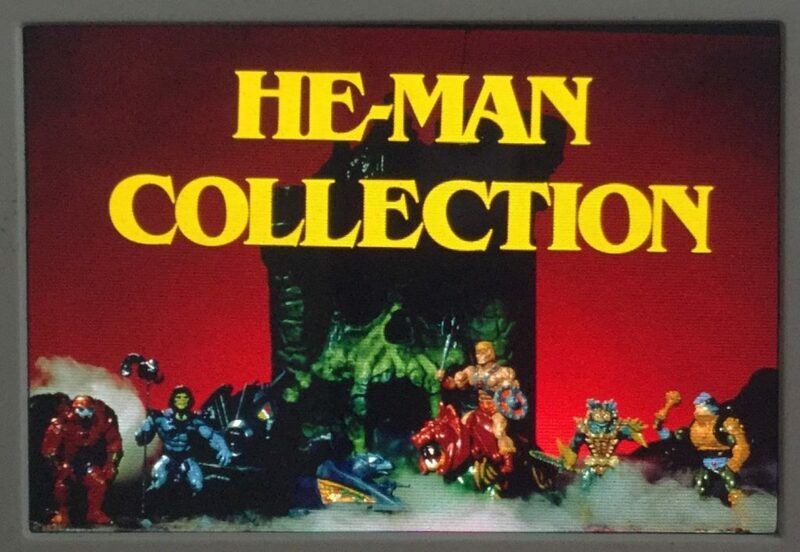 In this case, almost everything in the Wish List is a standard (first release) version of the mass produced toys. 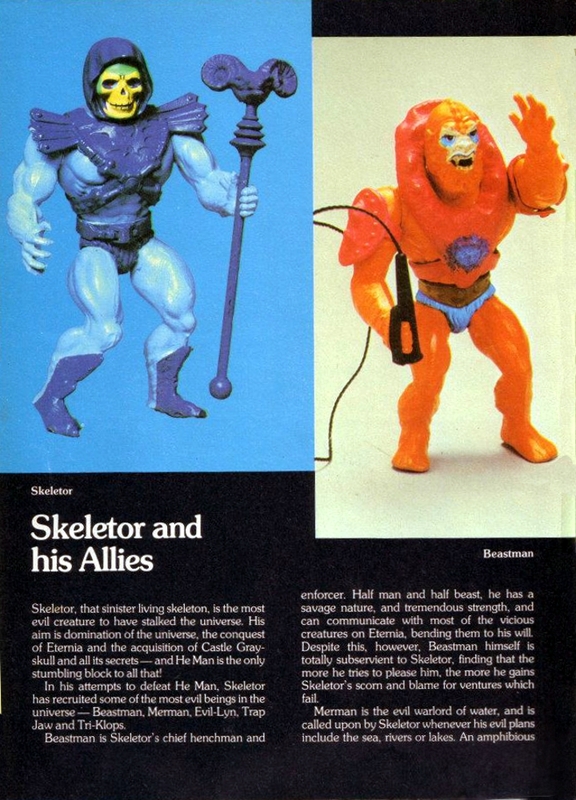 Skeletor is the first run “orange cheeks” and half boots version. 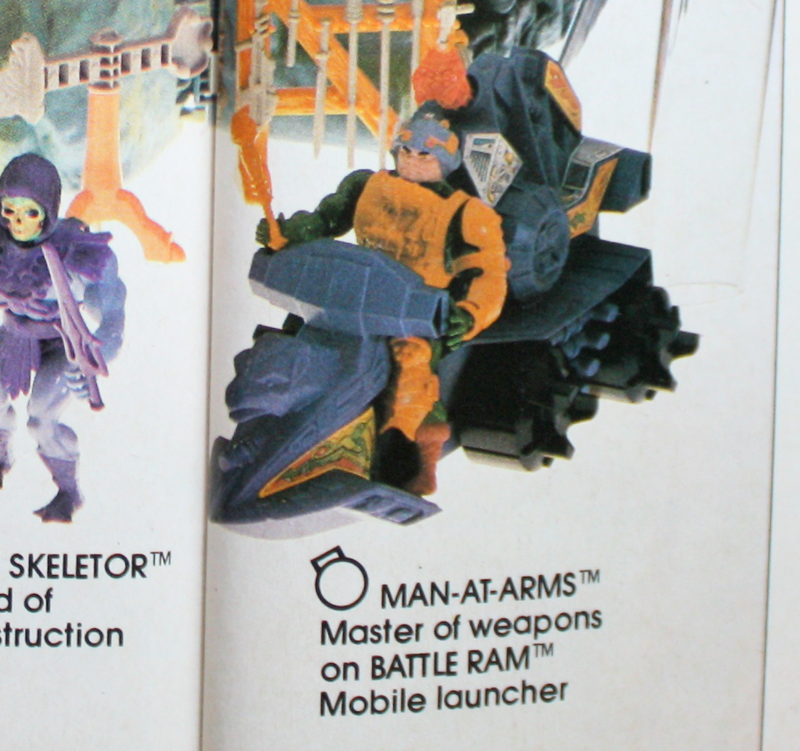 Unlike earlier catalog photos, both Battle Ram and Wind Raider are the final, mass-produced versions. Stratos in this picture is not a prototype, but he is the ultra-rare, early “blue beard” version. 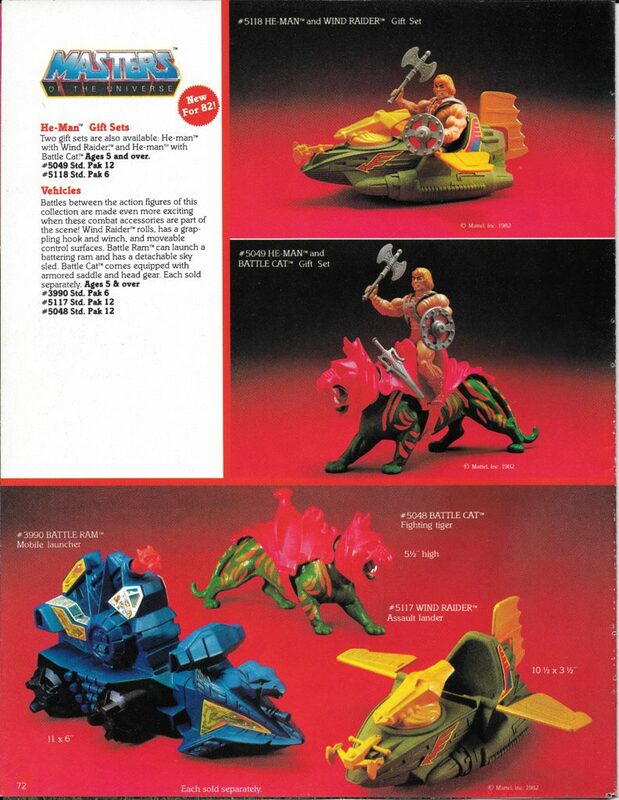 The Battle Cat in this catalog isn’t technically a prototype, but it’s rare enough that it might as well be. 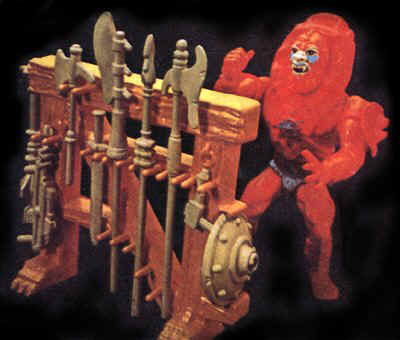 A small number of factory Battle Cats were made with striped tails and orange lines around the mouth, based on pattern of the original hand-painted prototype. 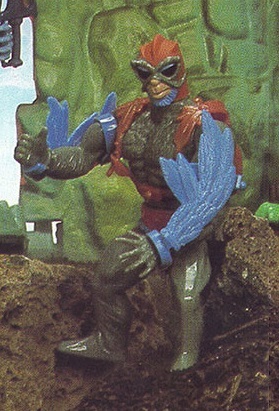 Unlike “blue beard” Stratos, this version does not appear to have ever been sold in stores. They may have been early samples that were intended to be use for product photography. 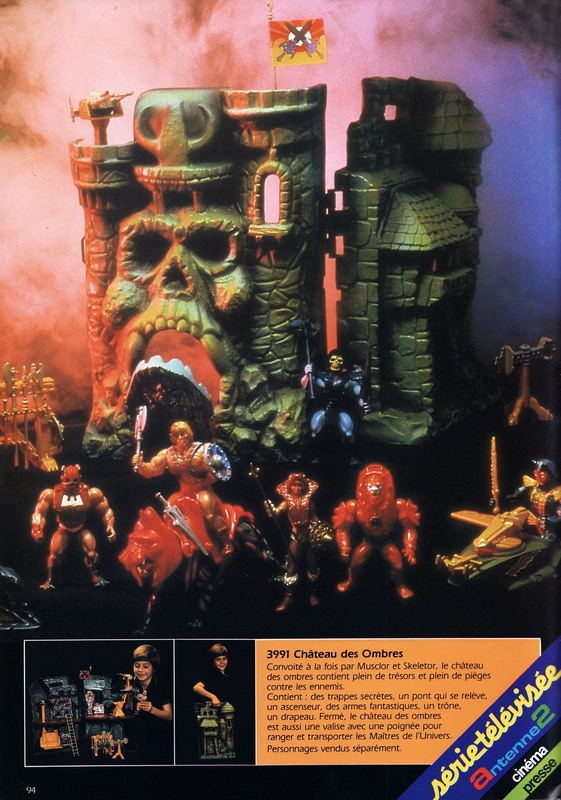 Castle Grayskull is a little unusual here as well. I’ve only seen one example in the wild with so little black paint around the eye and nose region. This could be another early factory sample intended for product photography, or it could just be an early release example. 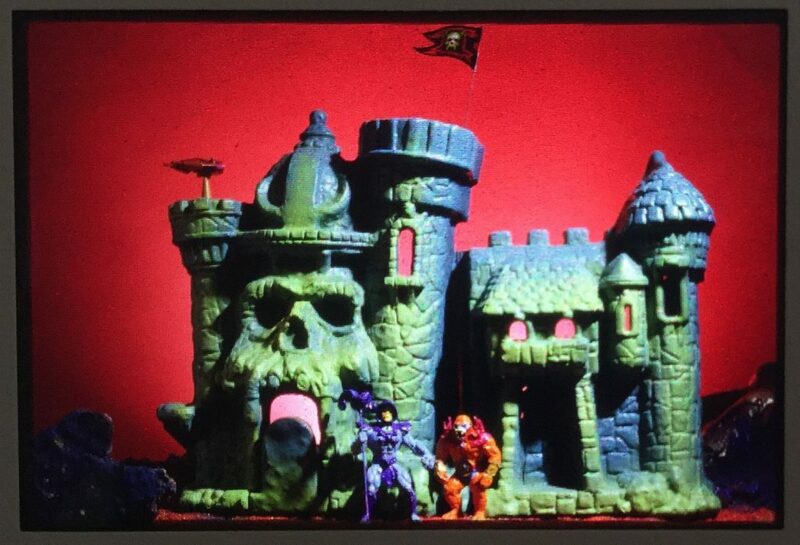 The earliest known example of Mattel photography of MOTU toys comes from a series of promotional slides shared by Andy Youssi (below). 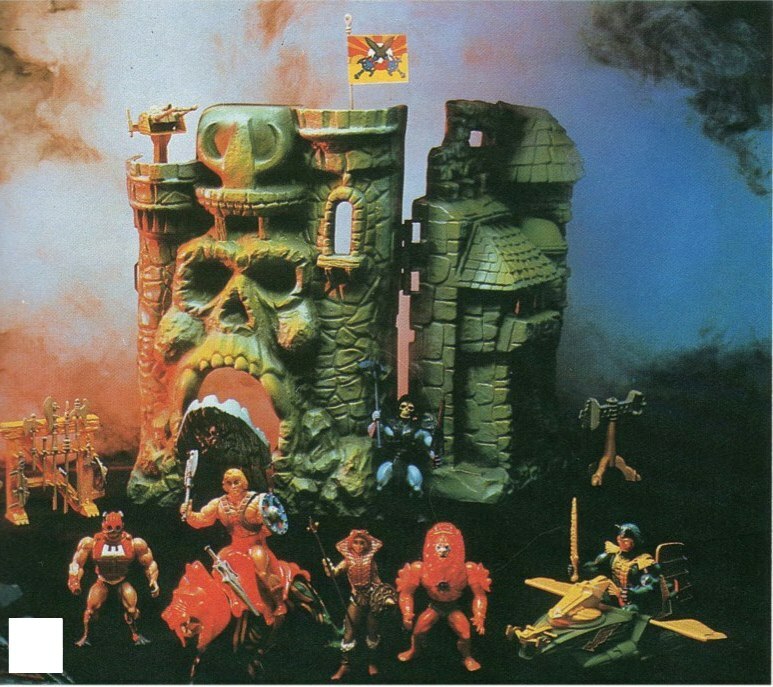 All of the toys in this series are early prototypes. 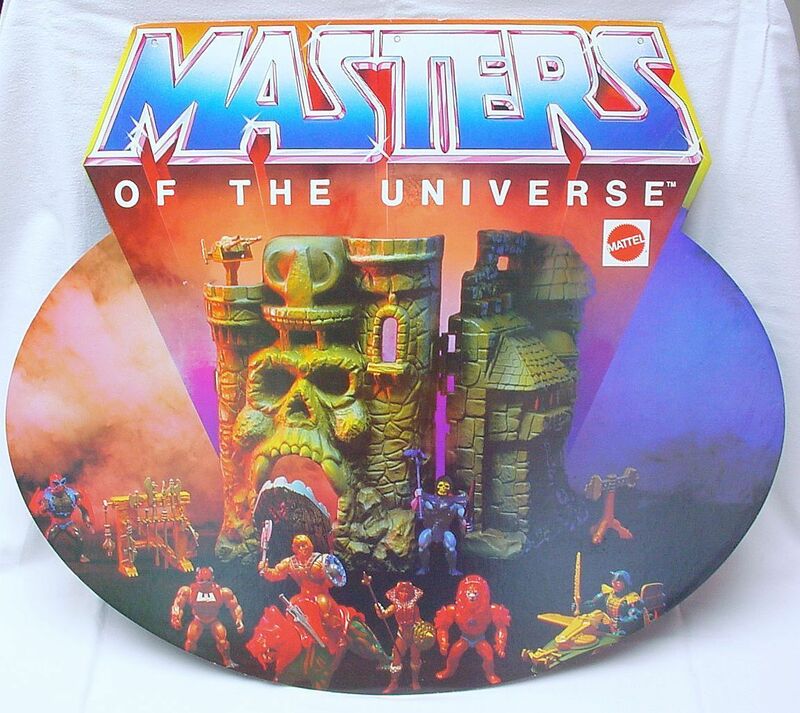 In fact this series is so early that we see the “Lords of Power” label, a working title for the toyline before “Masters of the Universe” was settled on. This is an amazing assortment of early concept images, some of which had not been seen until recently. 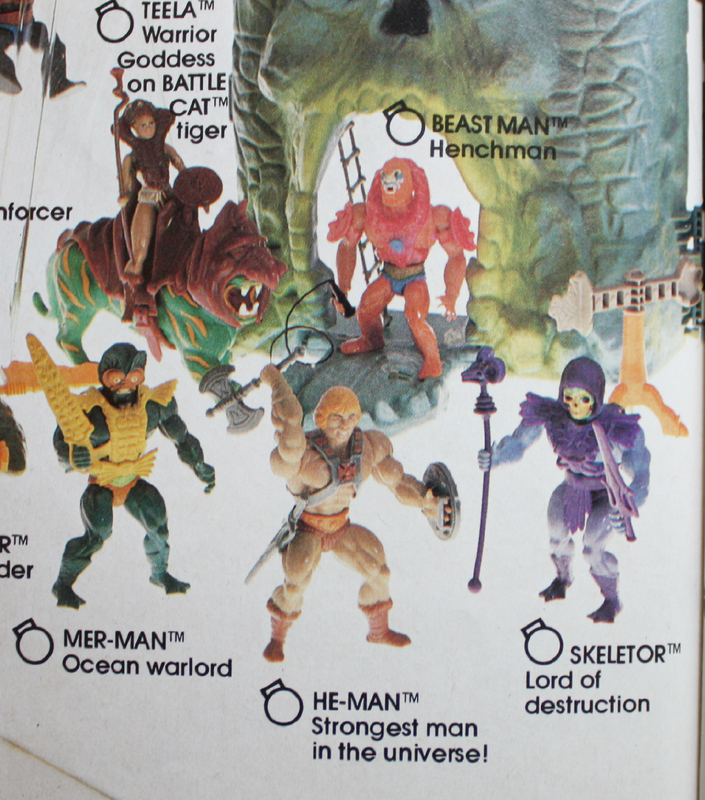 Most of them (Skeletor, Beast Man and Mer-Man) are not even articulated. 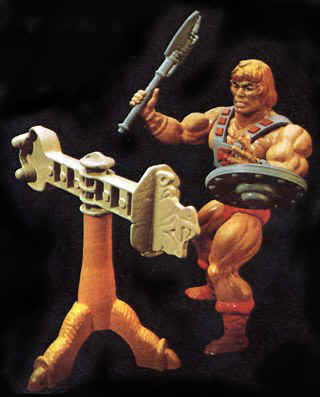 He-Man is the closest to being finished, but he lacks his left forearm bracer and his hands are both closed and not quite finished. 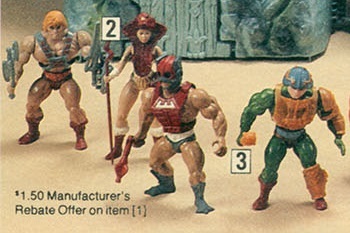 Man-At-Arms is quite a bit more detailed than the late-stage prototype that came out later. Battle Cat is hand painted and features the orange mouth and tail stripes that persist in early product photography. 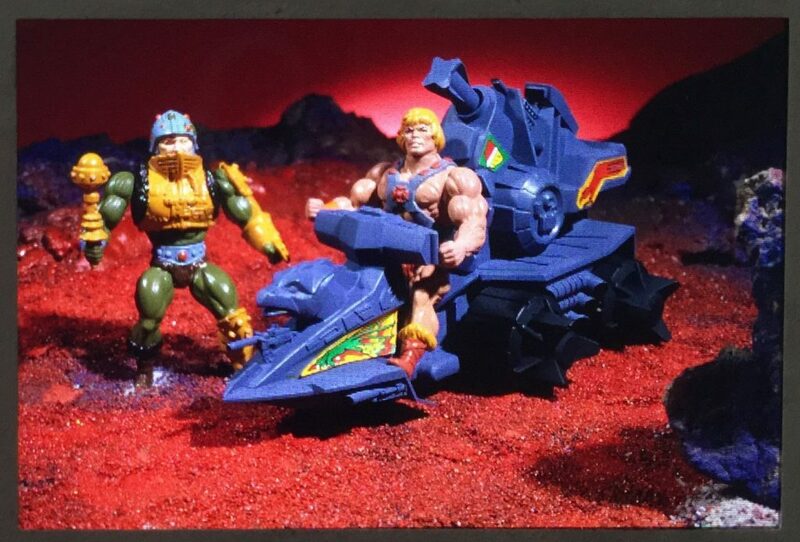 The Battle Ram prototype is more finely detailed than the final toy. 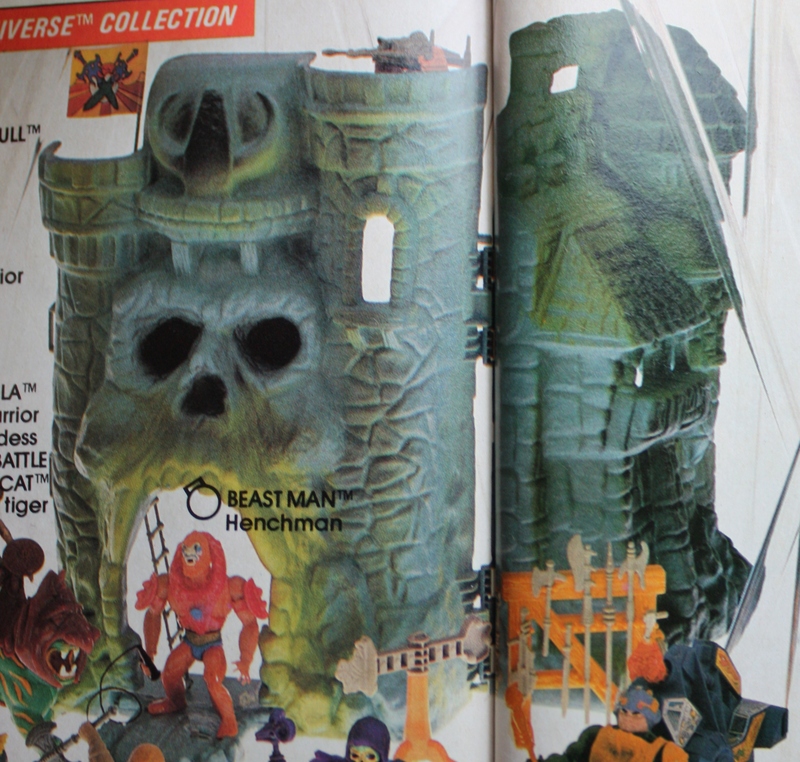 Castle Grayskull is also larger and more detailed, with the ledge and pointed helmet that appeared in many early illustrations. 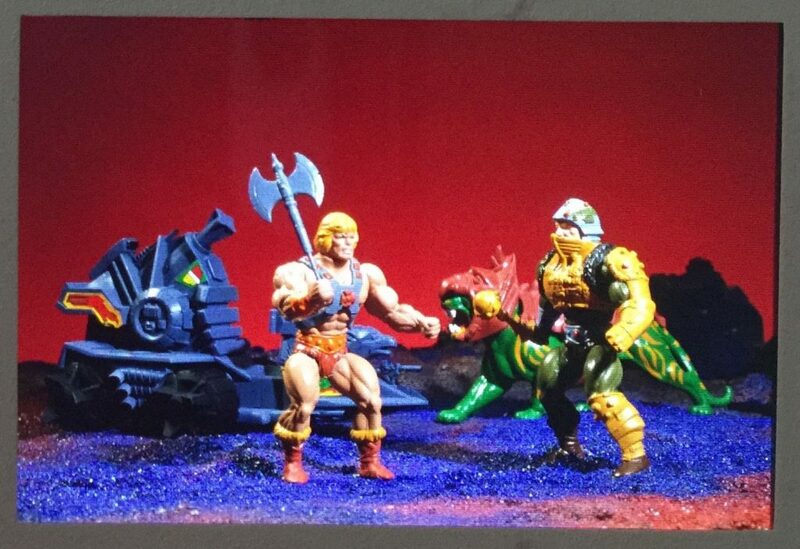 A more in-depth look at these images is available here. 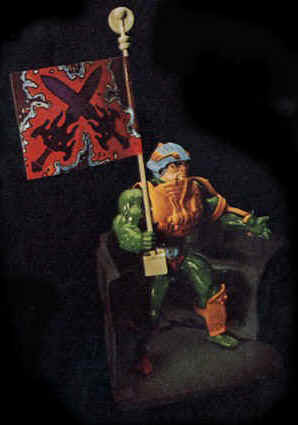 The second earliest known example of MOTU photography comes from the 1981 licensing kit, called Fast Male Action For Licensees. 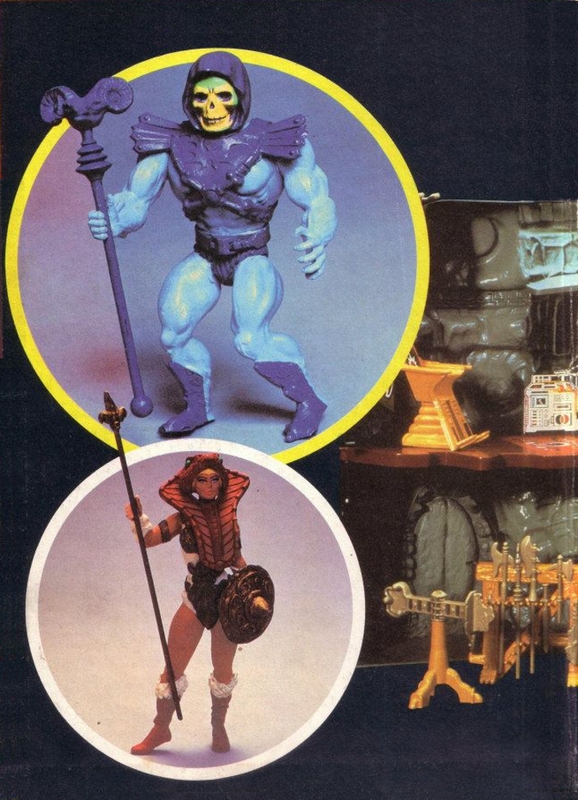 The kit contains some amazing Errol McCarthy artwork, but it also has some great toy photography featuring quite a few of prototypes, although most of them more late stage than the ones featured in the “Lords of Power” series. 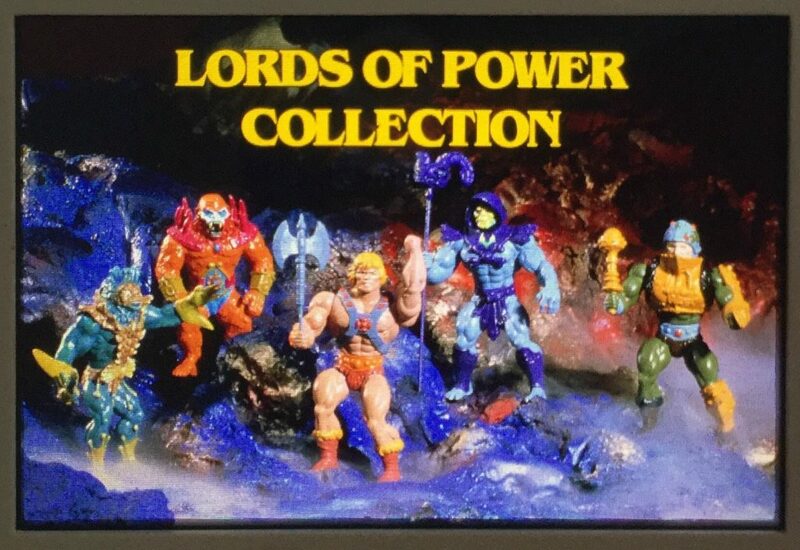 Prototypes include: Teela, Battle Cat, Zodac, Stratos, Man-At-Arms, Wind Raider, and Battle Ram. 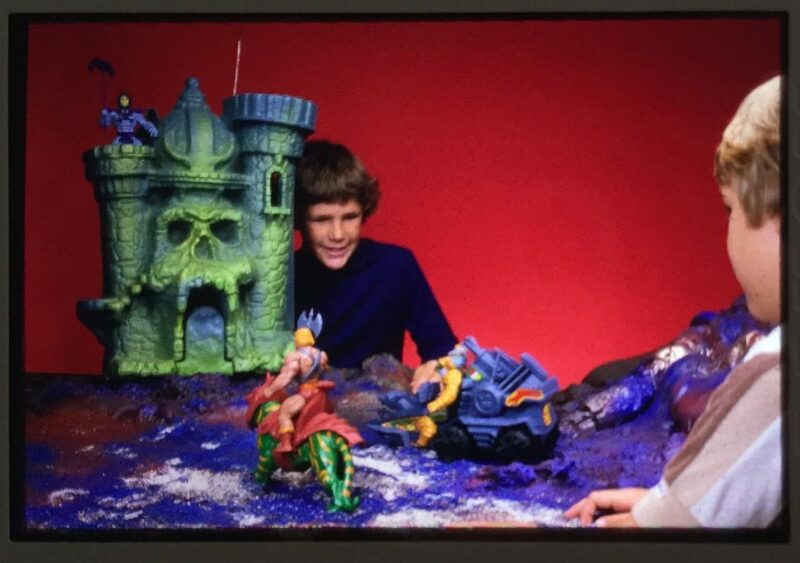 The Battle Ram prototype is the same one seen in the “Lords of Power” set. 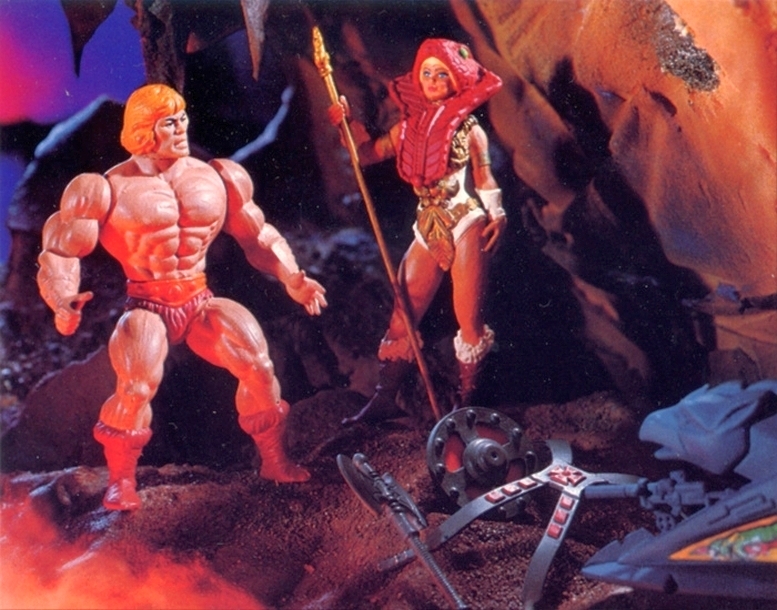 Teela appears to be an unarticulated statue. 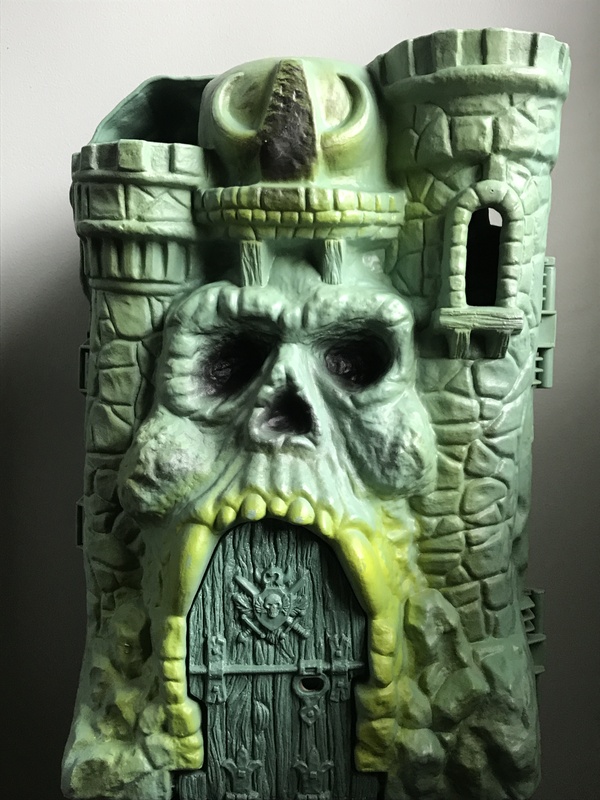 Castle Grayskull here is a finely painted pre-production model, finalized in shape and modified in many ways from the previous prototype. 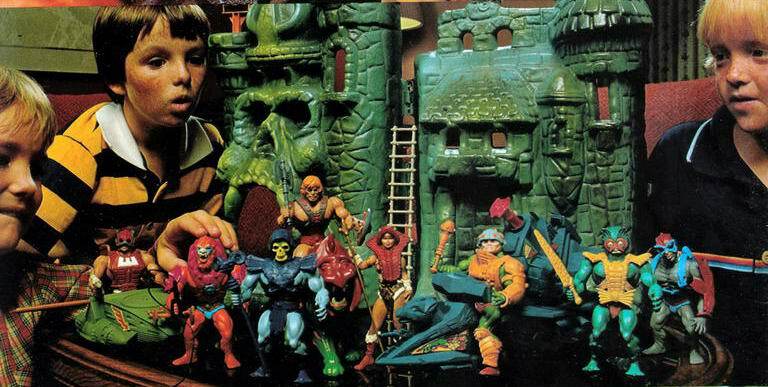 In fact, just about everything here, with the apparent exception of He-Man, appears to be hand-painted, at the very least. 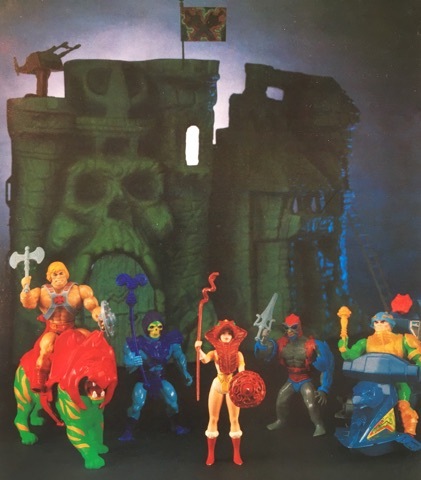 I would guess that many of these that appear to be final sculpts were cast at Mattel, and hadn’t gone to the factory yet. 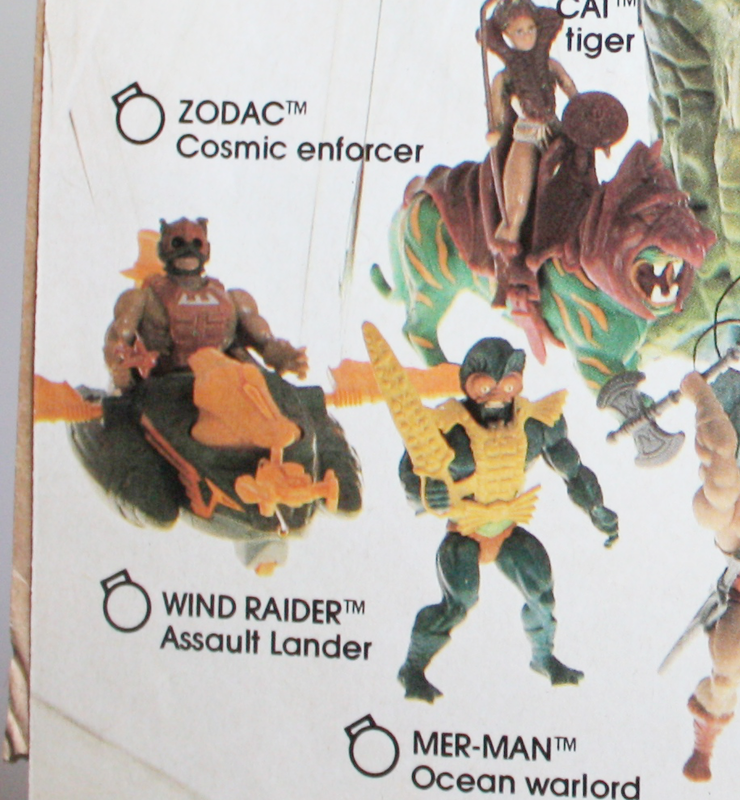 Notice that the prototype Wind Raider is missing its figure head. 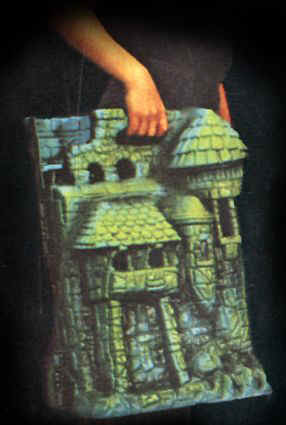 A similar photo used in the 1982 dealer catalog shows up in a 1983 Dutch catalog. This one features smoke in the background, and it’s cropped and arranged slightly differently. 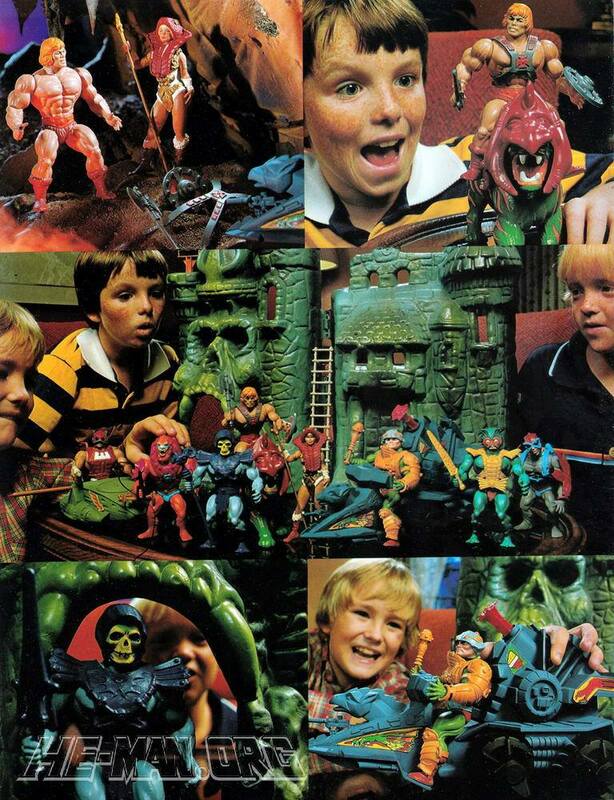 The photo in this MOTU advertisement seems to have been taken a bit later than the dealer catalog photos. 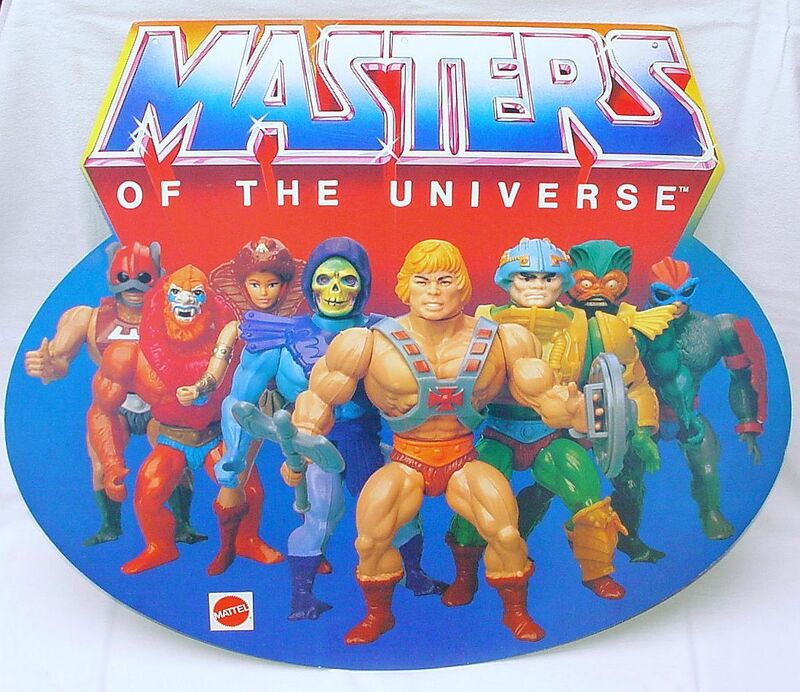 Every figure here seems to be hand-painted. 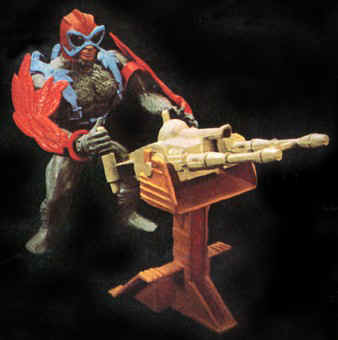 We still have the late-stage prototype Man-At-Arms (evidenced by the wrist extension on his armor). 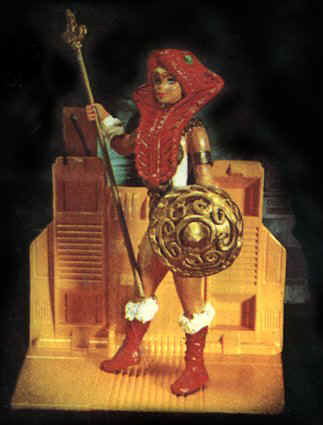 We also see a new prototype version of Teela, different from previous versions, with Barbie-like leg articulation. 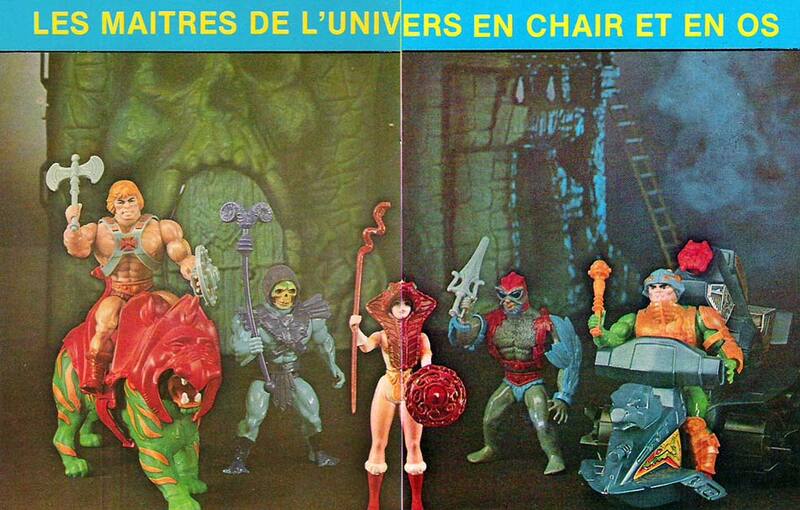 The photo that appeared in an early French mini comic appears to come from a slightly later session still. 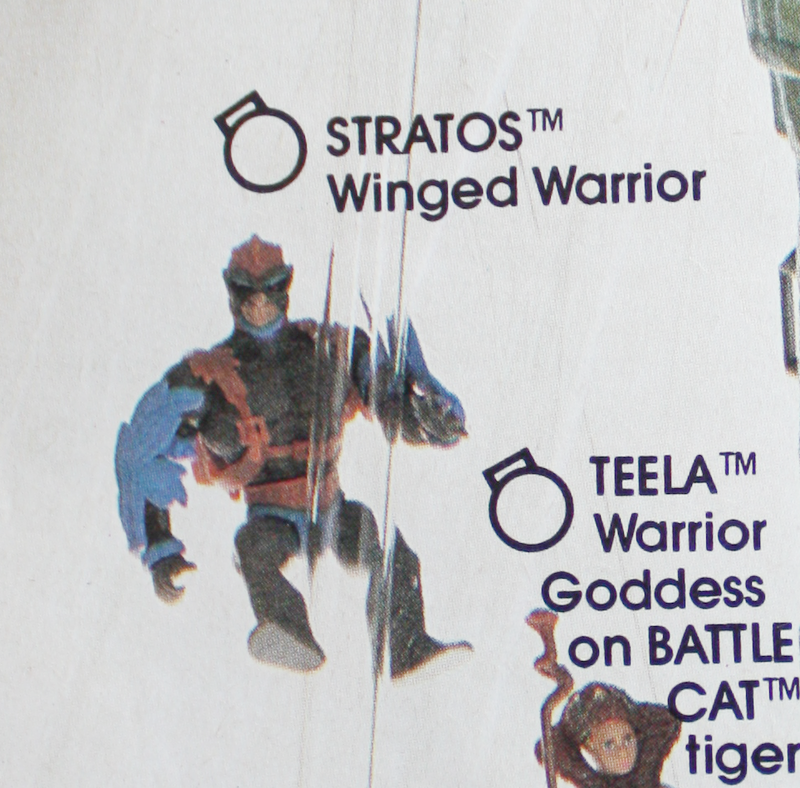 Stratos’ colors have now been reversed (this is the “blue beard” version that we saw in the Mattel Wish Book). 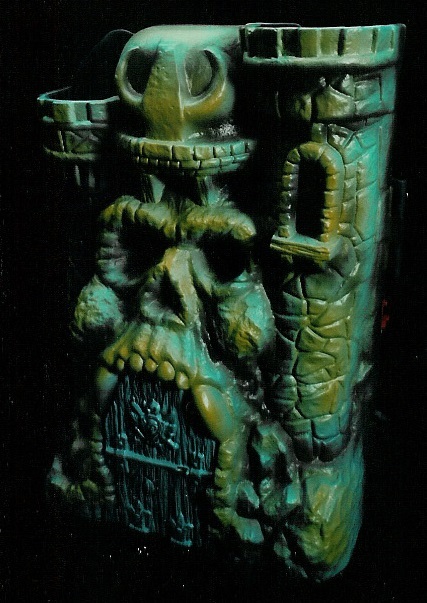 He appears to be a production sample rather than a hand-painted model. 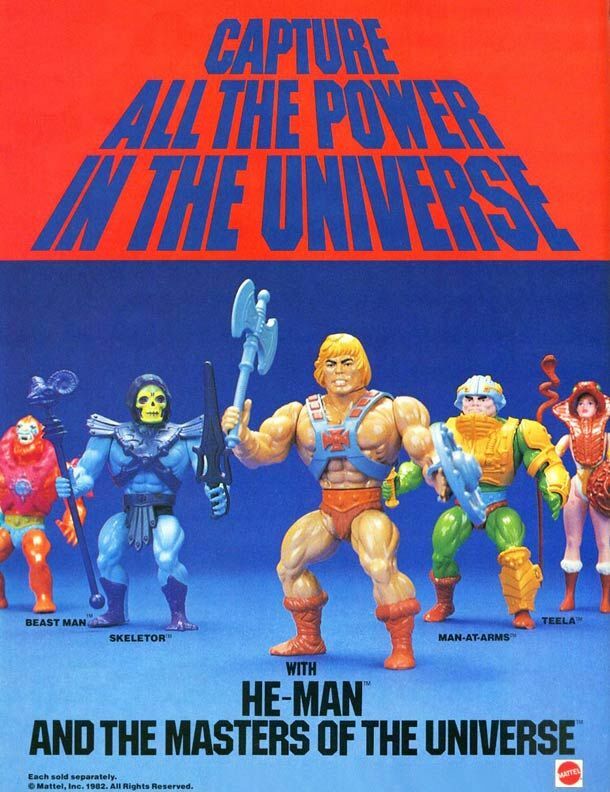 We have final, production versions of Man-At-Arms, Skeletor and He-Man. 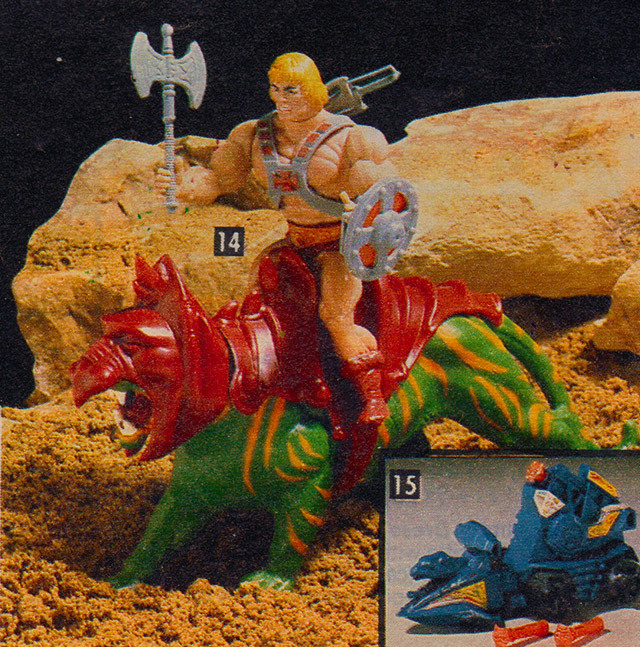 We see the striped tail Battle Cat (like the 1982 Wish List, this one does not appear to be hand-painted). 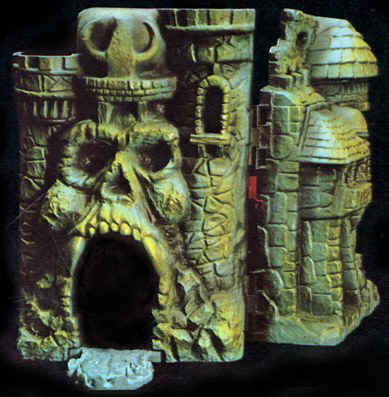 We still have the finely painted Castle Grayskull model. 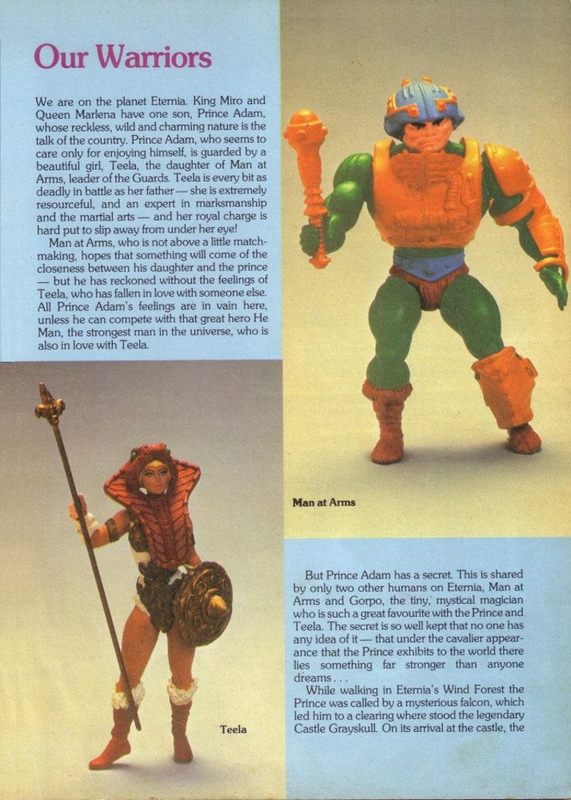 We see the same Teela prototype that appeared in the previous advertisement. 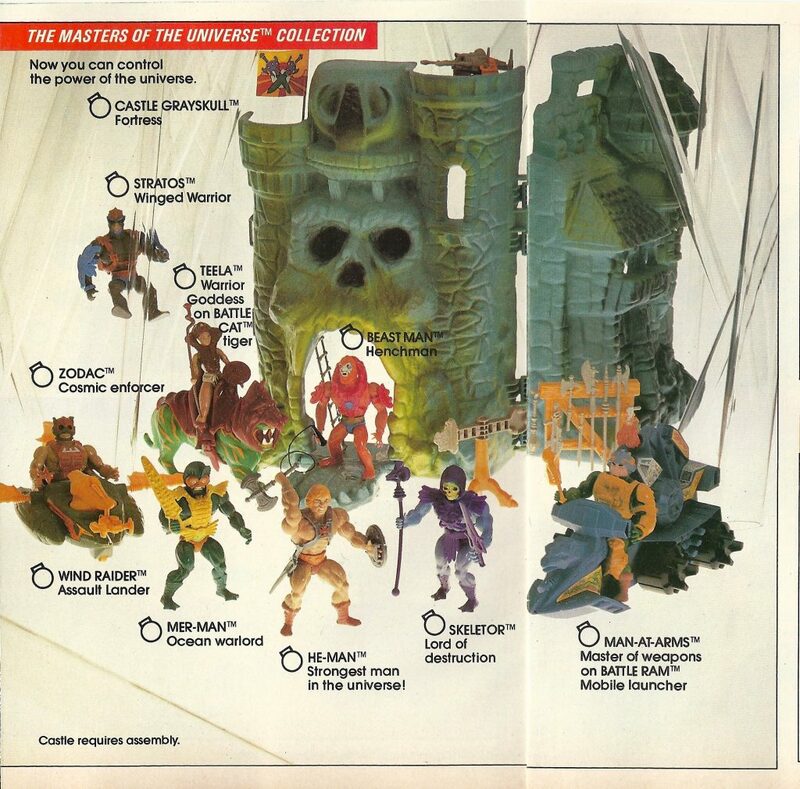 The 1982 Sears and JC Penny Catalog pictures (below) were probably taken sometime after the photo from the French mini comic. 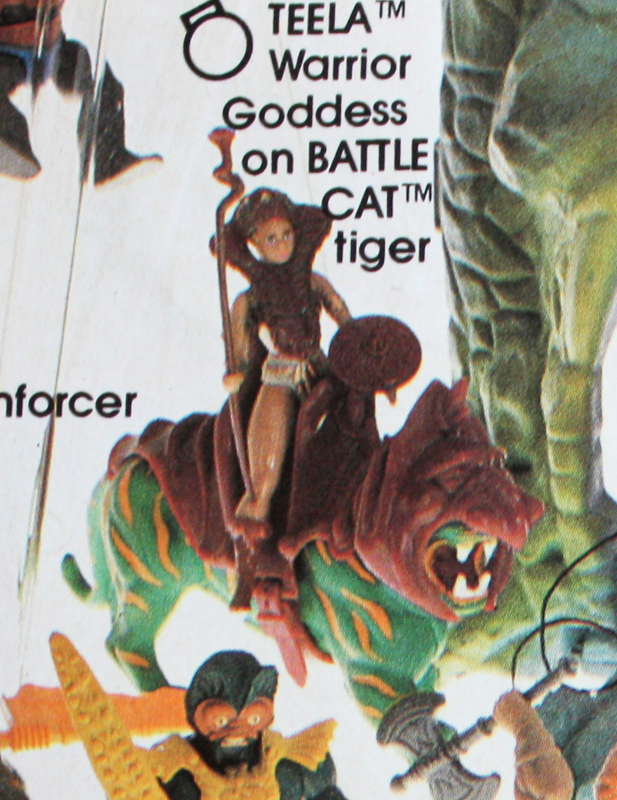 We can again see the striped tail factory sample Battle Cat, and a later, almost final Teela prototype. Her sculpt is finalized, but her paint applications are more in keeping with earlier prototypes and design drawings. Everything else looks pretty “off the shelf”. 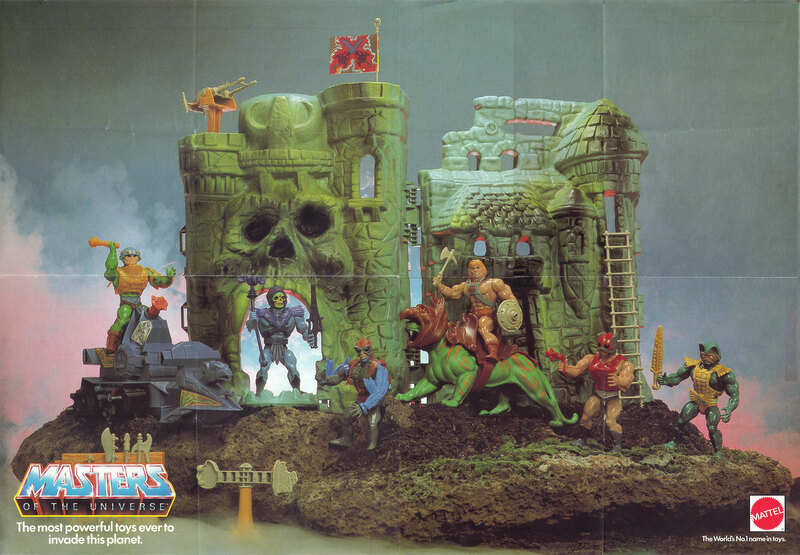 The photo used for the Masters of the Universe Poster (below) was probably taken last of all the product photos in this series (I would place the 1982 Wish List photo second or third to last). 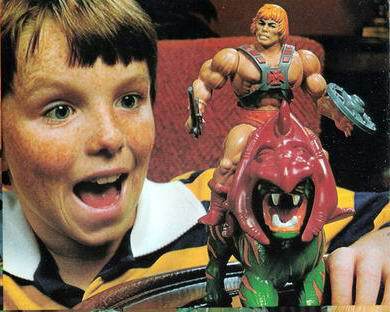 Just about every toy here is a mass-produced example. 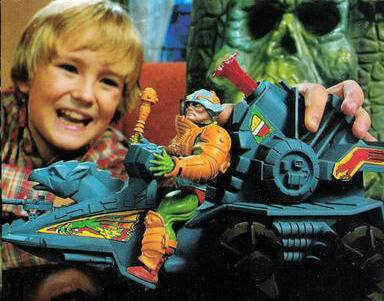 This is the only photo in the series to feature a standard Battle Cat. 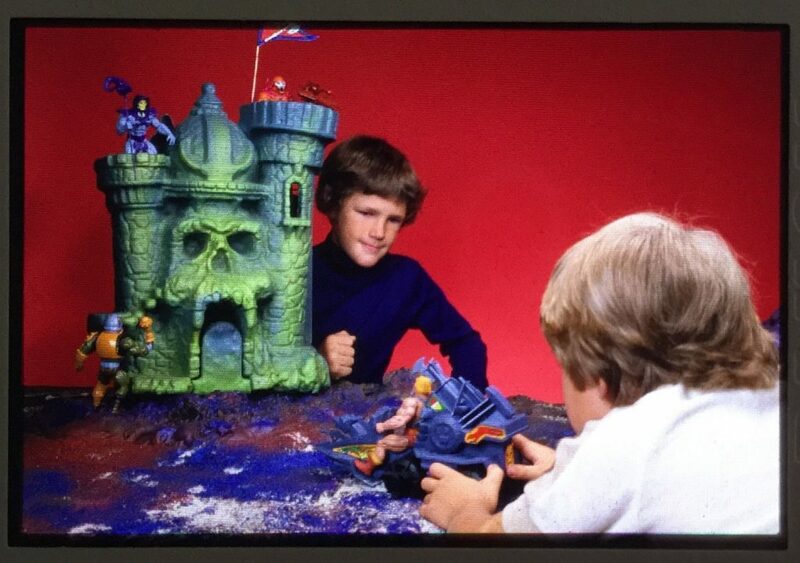 The Castle Grayskull in this photo is likely another early factory sample, similar to the 1982 Wish Book photo. Again we see the “blue beard” Stratos. 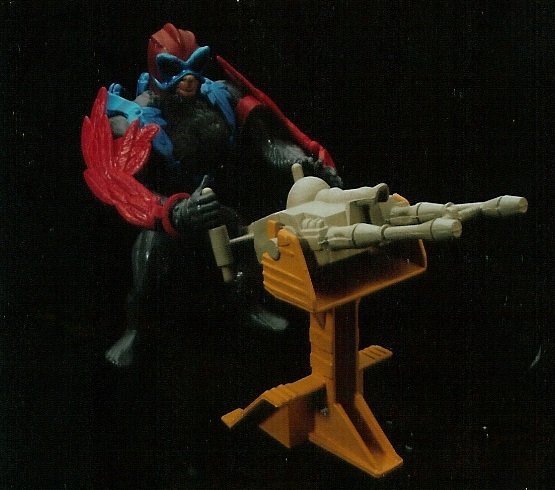 I believe that while the hand-painted prototypes for Stratos had red wings, blue armor and a gray beard, the very first-factory produced versions had the blue beard, blue wings and red armor (which is consistent with Mark Taylor’s original B-sheet drawing). 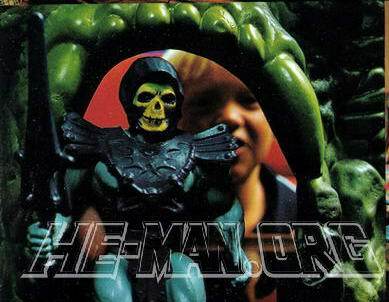 Then at some point the factories started producing figures using the prototype color scheme. It sounds a bit convoluted, but that seems to be what the photographic evidence is saying. 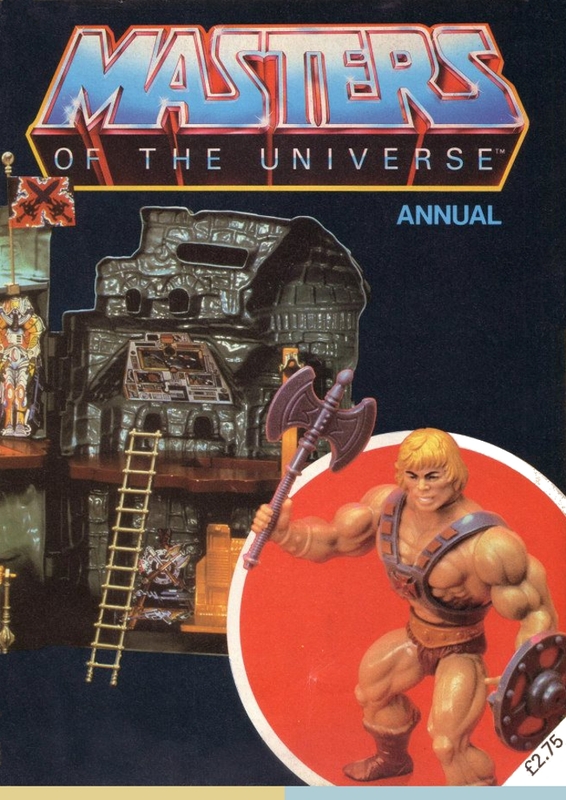 I used to spend hours looking at catalogues, meticulously combing through each page to narrow down what I’d ask Santa for that year. 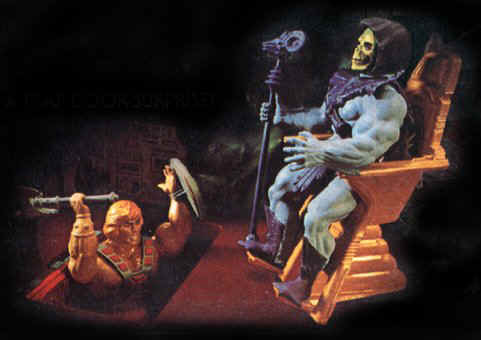 I think this is a reason I’m a huge collector of action figures and displaying/posing them.